A version of the Heatwave Radiator is included in the exhibition Joris Laarman Lab: Design in the Digital Age, on view at Cooper Hewitt, Smithsonian Design Museum through January 15, 2018. Radiators have long been used to exchange heat, transfering thermal energy from one medium to another for the purpose of space heating. Their primary function is to keep a space warm and dry. Whether they are hidden behind a strip that runs along a wall’s baseboard or are a corrugated rectangle against the wall, radiators often are not treated as design objects worthy of contemplation. In 2003, Joris Laarman (Dutch, b. 1979) designed Heatwave, a large and functional radiator in the form of rococo foliage to be hung on the wall like a work of art. The ornate and exuberant style of Heatwave follows the function of a radiator. Laarman reminds us that the mass needed to most effectively dissipate heat can be ornamented too. Connecting contemporary design to the tradition of ornament, this radiator was included in Laarman’s series of graduation projects from Design Academy Eindhoven called Reinventing Functionality. 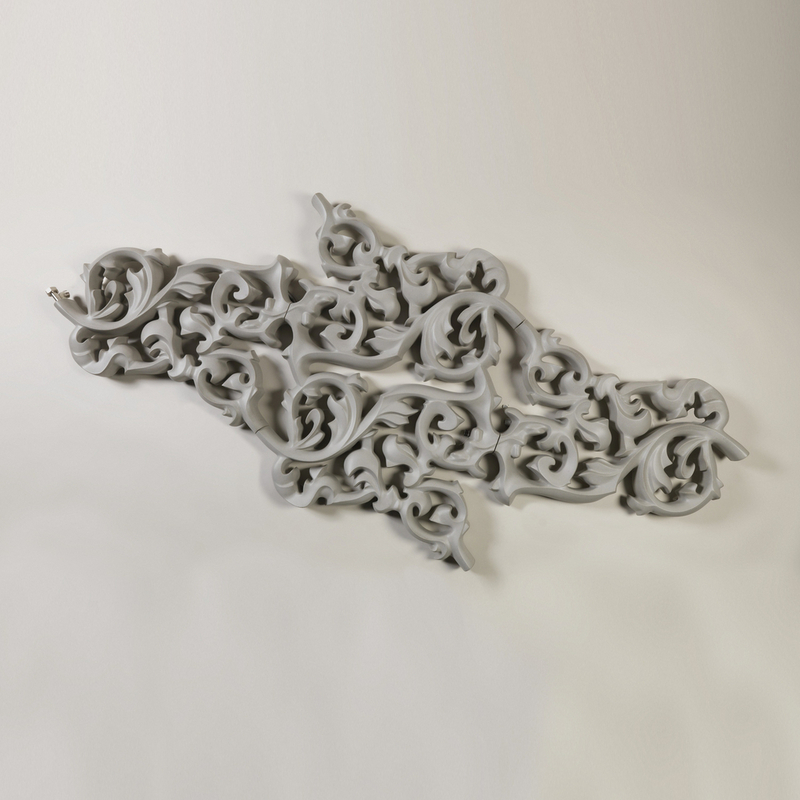 The polyconcrete shell is cast in a rococo form. The radiator’s piping is mounted within a shallow cavity in the shell. The Heatwave is punctuated by a flower-shaped manual valve to control the heat. Joris Laarman cited in Anita Star, ed., Joris Laarman Lab (New York, NY: August Editions, 2017), 27.